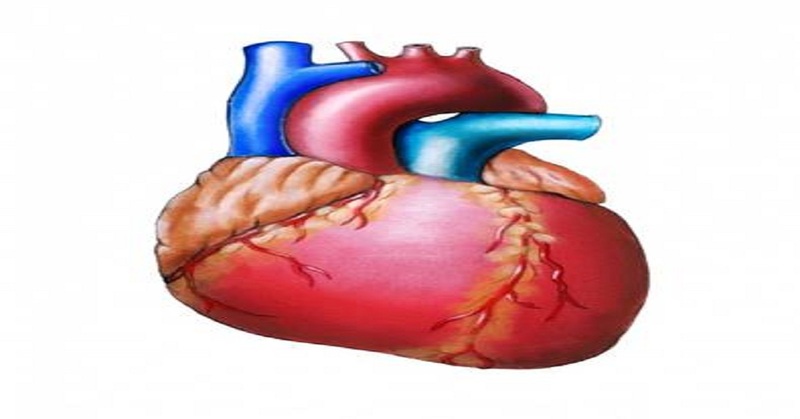 Heart is such an important organ that there are several factors that affect heart. 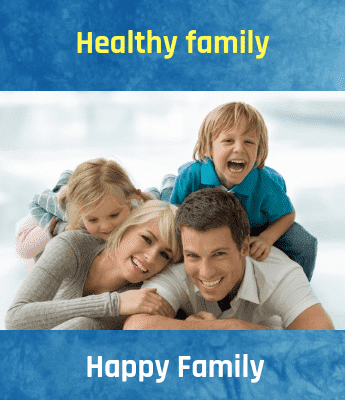 Moreover, the network of the system of heart runs so vastly that any defect or damage to either of the part of the system naturally affects the working of the heart or its efficiency and hence comes under heart issues. Some such heart issues and complications are being discussed here. Coronary artery disease is also known as coronary heart disease or heart disease and is the topmost killer in the United States, affecting around 13 million Americans. In India alone, four people die due to this heart disease every minute and the people dying are young in the age group of 30 and 50. These facts are really alarming and disturbing. When plaque builds up in the arteries, it blocks the flow of the blood and results in a stroke or heart attack. The condition thus caused is known as atherosclerosis and in this condition, the elastic and smooth arteries become rigid and narrow thereby restricting the flow of the blood to the heart. This deprives the heart of the required amount of oxygen as well as nutrients. The process of building up of plaque starts when you are young and as you grow the plaque buildup becomes a burden causing inflammation of the walls of the blood vessels. This increases the risk of heart attack and blood clots. Although the plaque does release a particular healing chemical to heal the inner walls of the blood vessel, other elements such as lipoproteins, calcium, inflammatory cells that come with the bloodstream begin to stick to the blood vessel walls. The health of the heart further deteriorates during exertion or stress and sometimes a blood clot may block the supply of the blood to the heart leading to heart attack. If due to the clot, the blood vessel providing blood to the brain is blocked it can result in ischemic stroke. Similarly, if due to lack of adequate amount of blood the blood vessels in the brain burst it can cause uncontrolled hypertension leading to hemorrhage stroke. Chest pain or angina is the most common symptom of coronary artery disease. Angina symptoms include burning, aching, heaviness, fullness, numbness, pressure, painful feeling or squeezing in the heart. Other symptoms include palpitations, shortness of breath, nausea, sweating, dizziness or weakness. DASH (Dietary approach to stop hypertension) diet that focuses on wholegrain, fruits, and vegetables and eating foods that have less amount of sodium, fats, and cholesterol. Cardiomegaly means a condition in which the heart is enlarged. It can be caused due to coronary heart disease or high blood pressure. An enlarged heart cannot pump the blood effectively causing incongestive heart failure. With proper treatment there are chances of improvement over the time however, such patients need to keep on taking medications for life. The heart can keep on pumping the blood up to a particular level of enlargement of its size. Once the heart enlarges beyond a point, the ability of the heart to pump the blood declines and leads to a condition known as dilated cardiomyopathy a type of cardiomegaly. In dilated cardiomyopathy, the heart is enlarged from both right and left side. In other types of cardiomegaly mostly the muscular left ventricle of the heart becomes abnormally thick due to hypertension or an inherited condition leading to conditions known as hypertrophy and hypertrophic cardiomyopathy respectively. Note: When in some cases enlargement of heart occurs without any cause the condition is known as idiopathic dilated cardiomyopathy. A heart attack is a common problem that affects millions of people in the world. Also known as myocardial infarction it damages the heart muscle permanently. Heart muscle is in constant need of an oxygen-rich supply of the blood for nourishment. This nourishment is provided by the coronary arteries to the heart. Due to some disease, the coronary arteries can become narrow and the flow of the blood is restricted or is not adequate. The extra deposits of proteins, calcium, inflammatory cells as well as fatty matter when building inside the arteries they form a particular type of mushy and soft plaque inside and hard deposits on the outside. This leads to cracking of plaque or platelets causing the formation of blood clots that can totally block the artery leaving the heart muscle deprived of the oxygen. This leads to the death of heart muscle leading to permanent damage and consequently heart attack. Note: Heart muscle takes around eight weeks for healing after the heart attack; however, it forms a scar that lacks the ability to contract. This reduces the pumping ability of the heart after the attack. Note: The symptoms of heart attack can last for 30 minutes or even more and are usually not relieved even after rest or putting nitroglycerin below the tongue. Note: Silent heart attack without any symptoms occurs in patients with diabetes. Arrhythmia is a disease in which the patient suffers from an irregular heartbeat. However, irregular heartbeat is not similar to an irregular heart rate; rather these two rarely occur together. Normally the heart rate is around 50 to 100 beats/minute. And it is quite possible for a person to get Arrhythmia condition despite having normal heart rate. Arrhythmias can occur suddenly even without any cause. This is the most common of all the arrhythmias and can affect even people without any heart issues. In this condition, the heart tends to skip a heartbeat. It is usually caused due to excess use of caffeine or nicotine products, stress over-exercising. This condition is harmless and rarely needs treatment. In this condition, the heart beats at an extra rate. It is harmless and does not need any treatment. In this condition, the atria in the upper heart chambers contract abnormally causing an irregular heartbeat. This condition is caused due to rapid circuits present within the artrium. This type of arrhythmia affects people mostly having heart disease or who have undergone heart surgery. Ultimately, it is converted into atrial fibrillation. When the efficiency of the heart valve deteriorates, heart valve disease occurs. The heart valves are present at the exit of each of the four chambers of the heart and regulate the one-way flow of the blood all through the heart. These valves ensure that the blood flows freely all through the four heart chambers in the forward direction without leaking backward. This disease is also known as a leaky valve, regurgitation or incompetence. It occurs when the valve of the heart does not close firmly. This leads to leakage of the blood in a backward direction. Due to this, the heart has to work harder to make up for the loss of blood flow in the forward direction. This affects the valve and conditions known as tricuspid regurgitation, mitral regurgitation, pulmonary regurgitation or aortic regurgitation depending upon the type of valve that is affected. Sometimes the heart valve becomes stiff or its leaflets are fused owing to which the heart valve do not open fully. Due to this, the flow of the blood through that particular valve is restricted and the heart has to work harder to pass on the required amount of blood. This leads to heart failure or development of stenosis known as tricuspid stenosis, mitral stenosis, pulmonic stenosis, or aortic stenosis. Researchers and health experts are always trying to come up with better treatments that are less invasive, painless and more effective. Two such tests have been successfully tried. Also known as CardioDx test, during this procedure 23 different genes are checked to confirm the presence of a heart disease in your body. This test is expected to reduce the need for carrying out several tests for diagnosing a particular type of heart disease. It is especially recommended to patients having chest pain but is not diabetic. This blood test is usually recommended for diabetes. However, health experts have not started recommending it to determine the presence of heart disease in prediabetic or diabetic patients. Since diabetes can damage the arteries, lowering of A1c below 7 percent can greatly help to prolong the onset of coronary artery disease. Carotid Intima-Media Thickness Testing is almost similar to a carotid ultrasound and makes use of sound waves for detecting blockages in the carotid artery, which is the main artery supplying blood to the brain. The thickness of the internal lining of the coronary artery is measured using a plaque scan having the complex software. The treatment is very new and is yet to be made available for diagnosis but hopefully, will be introduced in coming days. Early detection of coronary artery plaque problem by this test can help to lower the chances of heart disease. Best Cardiologist in Hyderabad is hard to find as we have many doctors, but this article will give you the idea on how to choose the best cardiologist. How to find the top cardiologist in Hyderabad? Is the biggest puzzle to many of the people who are either new or old to Hyderabad because everyone wants to get the best cardiologist doctor in Hyderabad for treatment when it comes to the main part of the body "Heart" Here in this article we are going to discuss on everything and every need of the cardiologist.